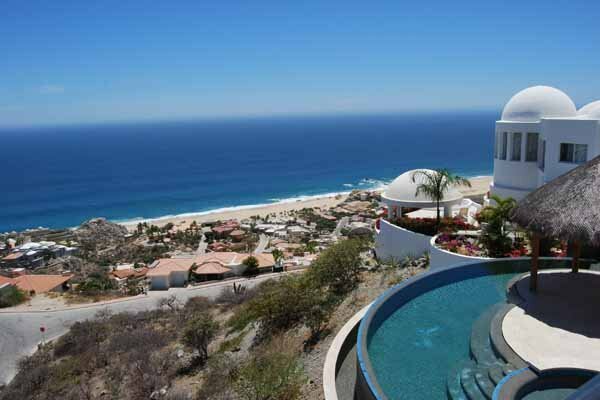 Villa del Mar, a property located in Cabo San Lucas, on the Pedregal mountain, whose arresting features engage the senses in a dance of endless delight. 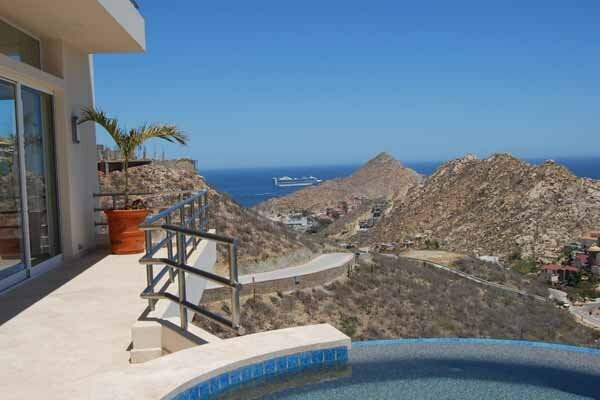 A view of the pacific ocean that turns into a view of the sea of Cortez. 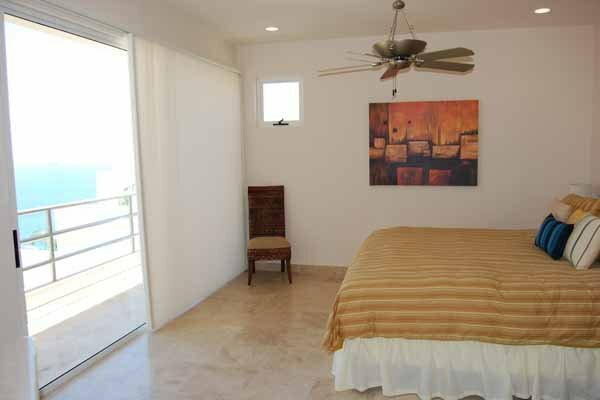 Views of the sunrise and sunset, as well of views of fishing boats, cruise ships and evening sail boats. 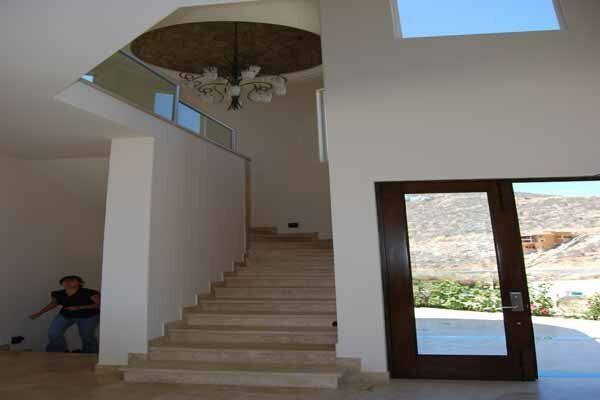 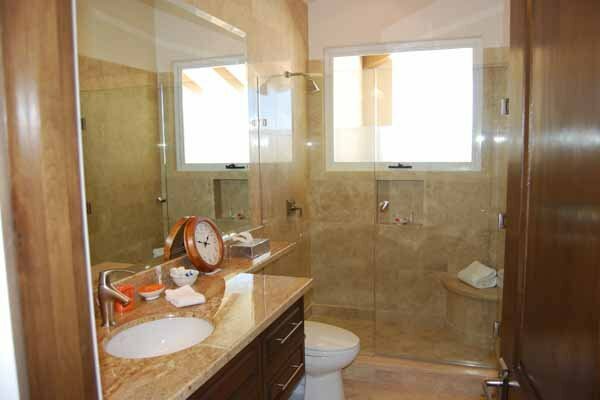 Entry, with unbelievable water features, and water fall outside overlooking the pool and rear of the home. 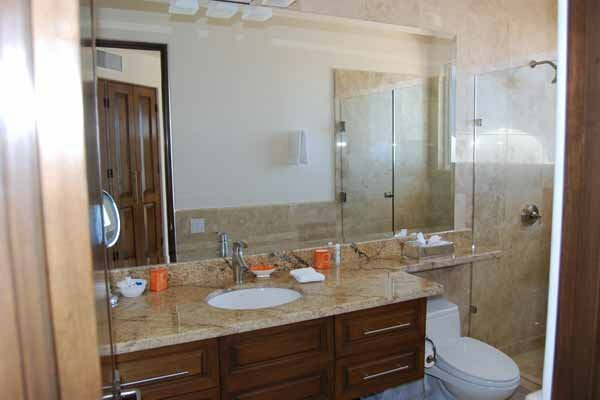 The play of light on the water has its counterpart in the kindred sparkles from the villa�s large Jacuzzi, suitable for a party of eight. 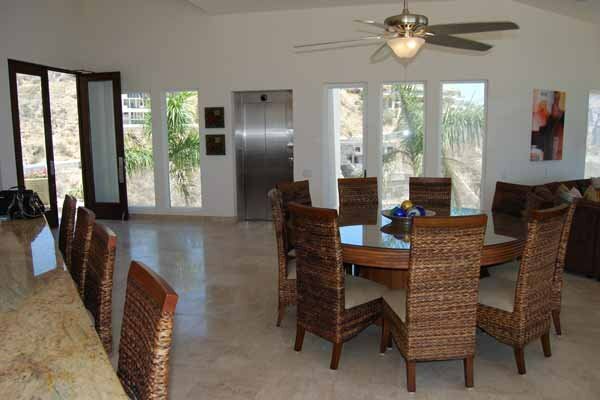 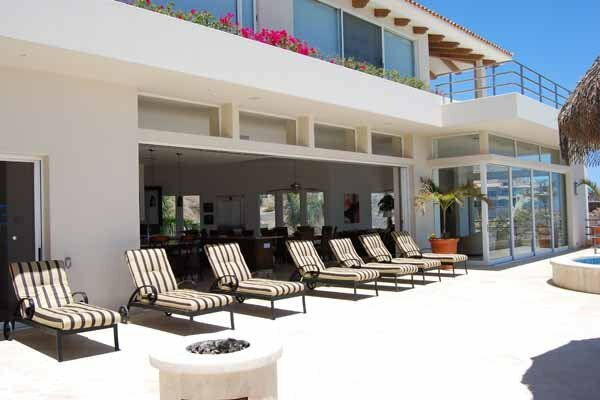 2500 plus feet of outdoor space, with patio dining, which includes a gas barbecue, fire pit, palapa and surround sound. 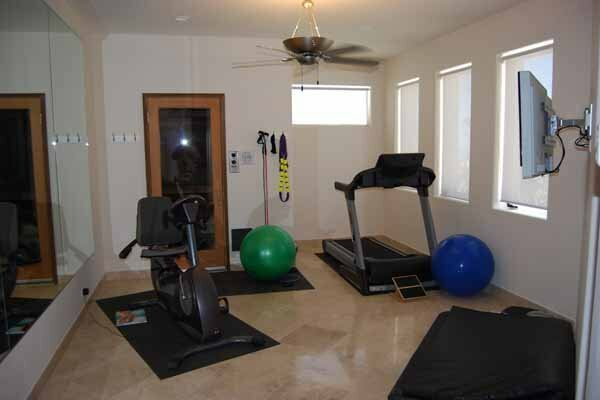 There�s no shortage of indoor space either-- 7,500 square feet of it, tall ceilings, and eight foot doors. 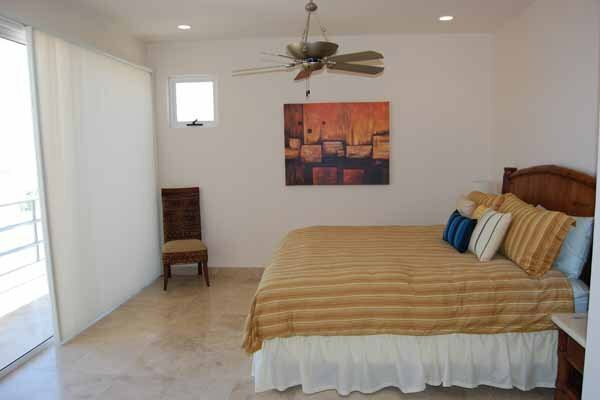 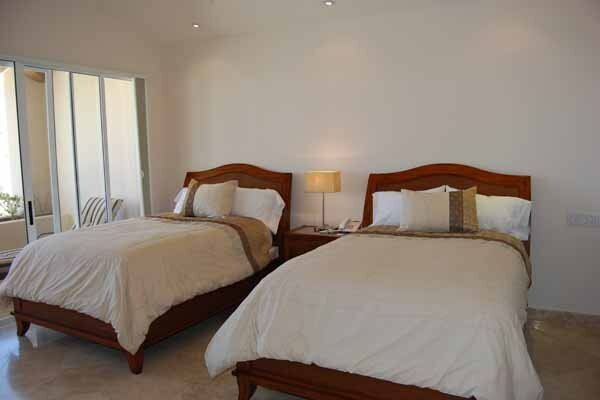 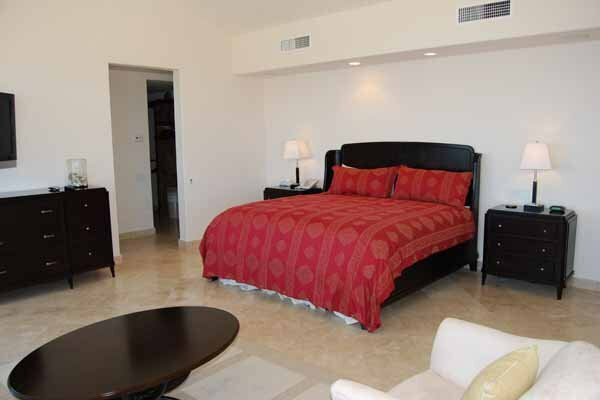 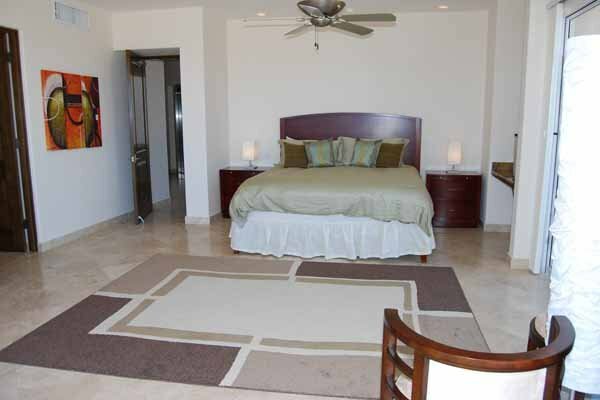 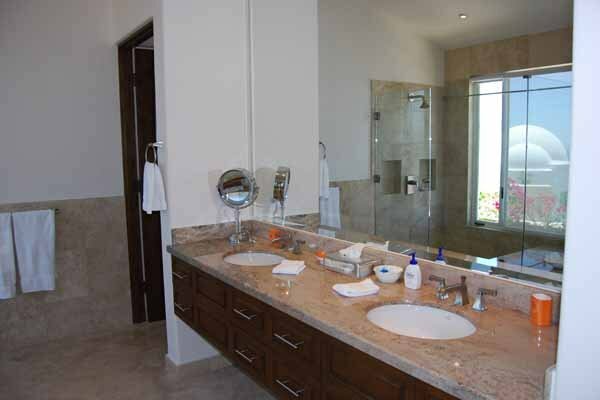 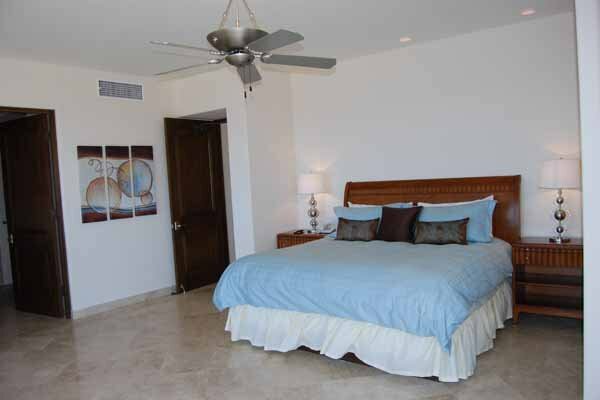 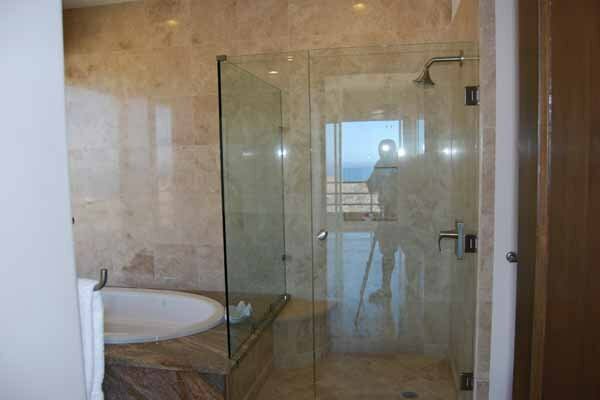 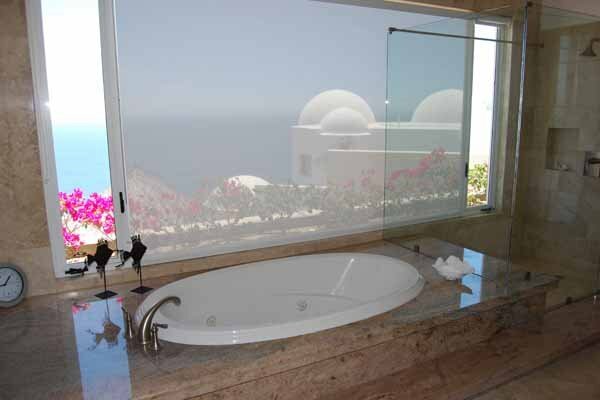 All of the five spacious suites have ocean views, balconies and private baths, with three sporting Jacuzzi tubs as well. 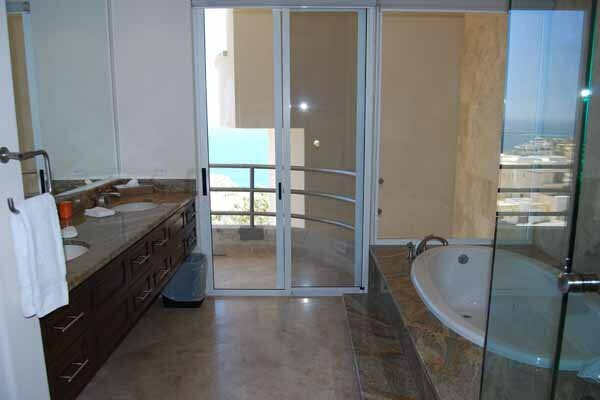 Complete with fitness room, wet and dry sauna, commercial elevator servicing each floor, and 5 refrigerators throughout the Villa. 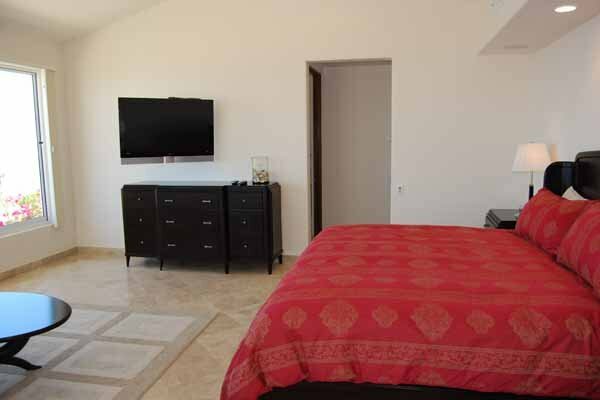 10 TV�s with surround sound throughout the villa, and if not enough, then enjoy the multimedia room, with 65 inch TV, plush Berkline loungers, surround sound and game table. 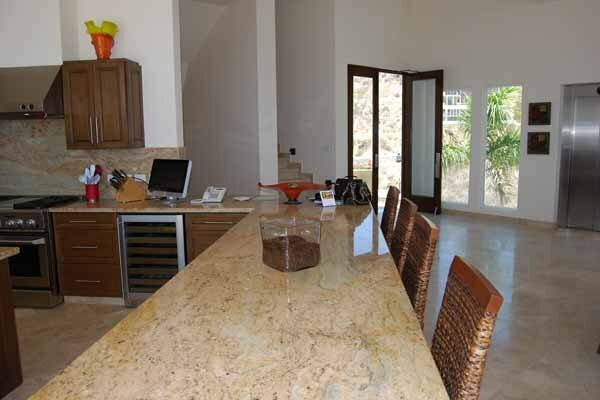 Office, with, computer, fax, long distance phone service and incredible views. 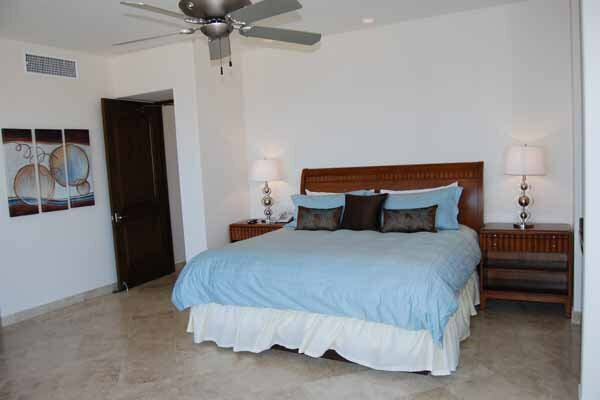 The ideal place for a family reunion, corporate retreat, wedding ceremony, or some friends getting together for fishing, golf or just to relax, unwind and enjoy. 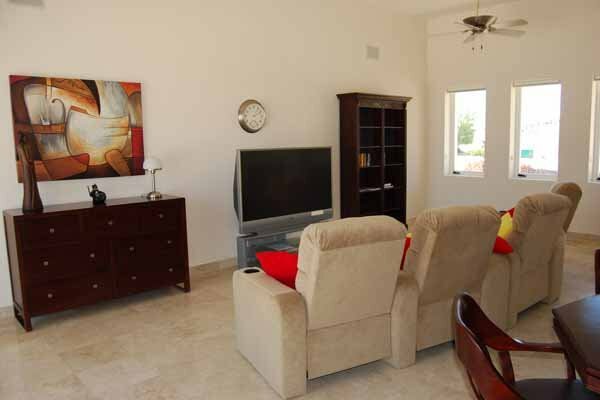 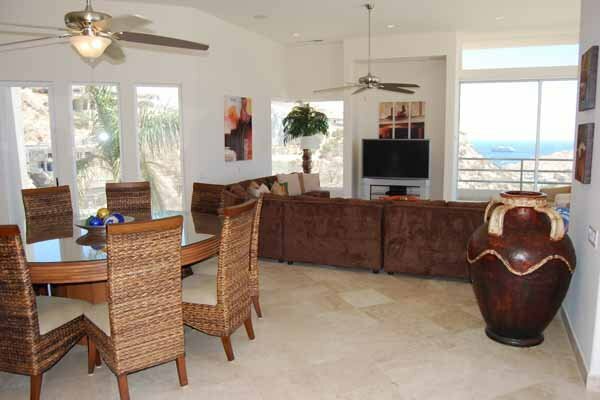 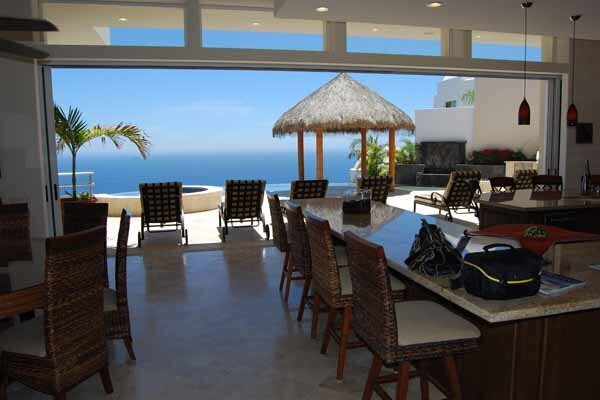 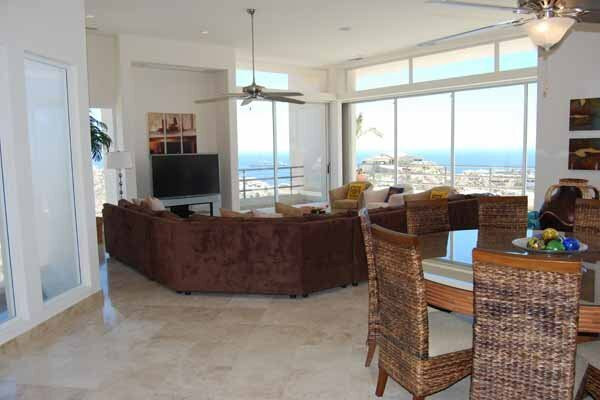 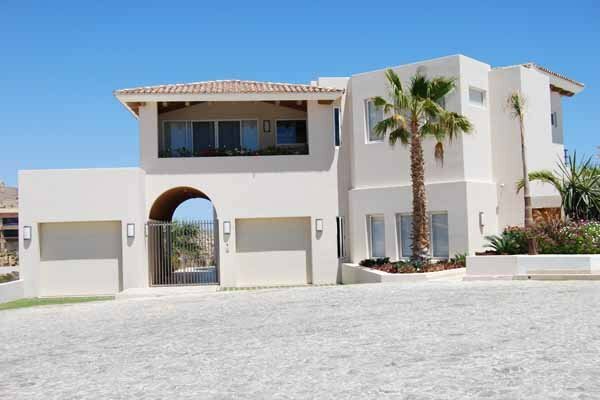 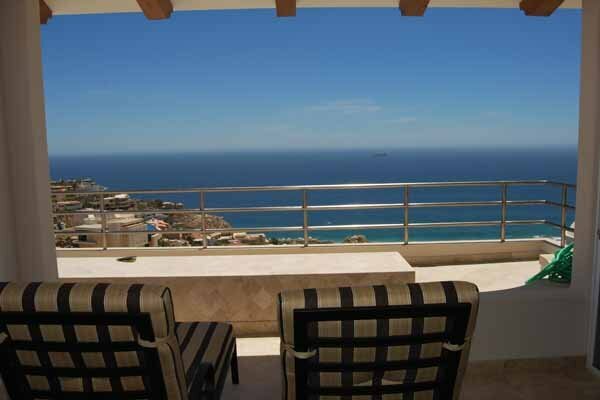 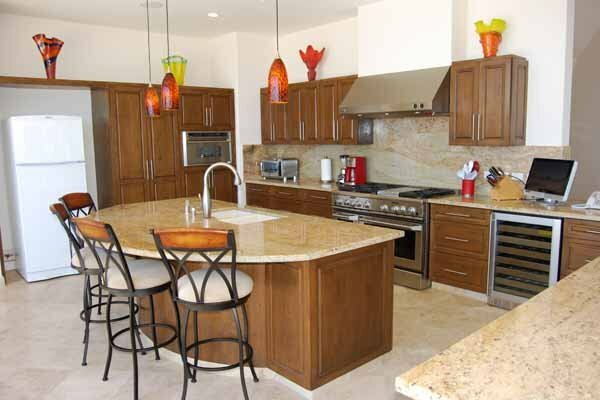 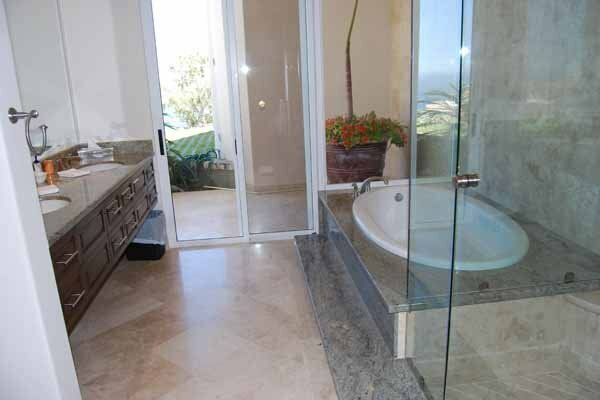 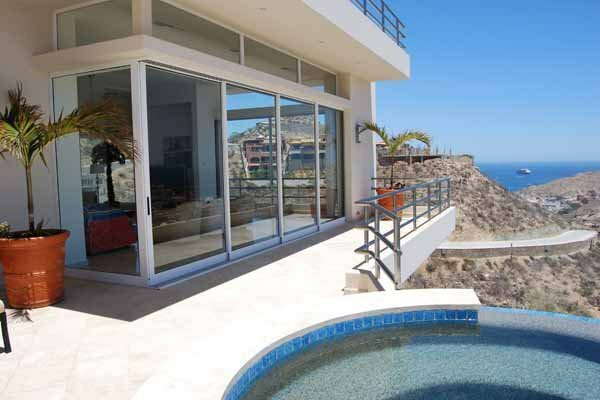 Villa del Mar is the epitome of what an exclusive Pedregal Villa is all about, style, comfort, and class--and the offering up of a rich getaway.